I am happy to introduce The Fix, a new, bi-monthly series here on TBF (along with The Beat). The Fix is a place where I'll share some of my favorite pieces and items, and hopefully help you refine how you personally can style and wear recent trends. If you read any glossy fashion magazines, you've seen pale shades of pink splashed all over the pages this spring. 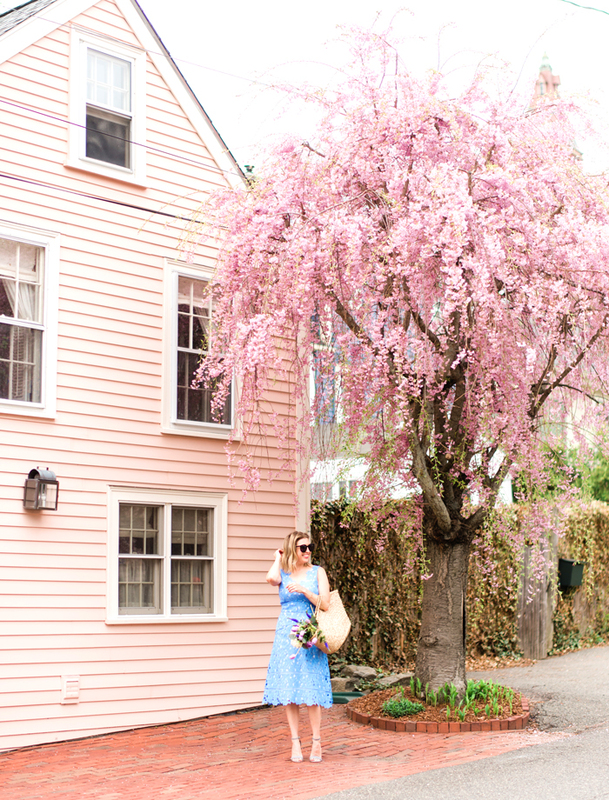 Now that it's April and we are finally seeing some sun in New England, I'm excited to start playing around with shades of blush and bashful. Use the color all over (like this eyelet dress that is so perfect for the upcoming wedding season), or add petal-colored accessories into a neutral outfit, and you'll be looking posh, not precious. If you feel like a pop of pink (and a tropical vibe) in your decor, this Pink Flamingos Rug is somehow whimsical, cozy and chic, all at the same time. I'm sure you've been reading about Glossier's Cloud Paint cream blush everywhere. Believe the hype; it really is that good. Speaking of weddings, this dress is so insanely romantic, you'll probably be getting impromptu proposals from all of the groomsman.